Baby A. is two months today! (And his “reward” was getting the BCG vaccine… poor child). He only cried a little bit. These two months have passed by quite slowly, or at least that’s how I feel. At first my days were a blur of nursing, holding a sleeping baby and checking my phone too much (because it’s the easiest thing to do when you have a sleeping baby on your lap; later I started reading on the Kindle and I am now in the middle of the Harry Potter saga, which I had never read). We didn’t go out much during the first month as we were a bit scared and also because whenever we tried, Baby A. would get furious inside his pram. I think it was because we chose a bad moment and he was hungry or something. Now he likes going out, sometimes he falls asleep with the motion and other times he is too busy looking at everything. I also have a wrap but I have only used it once, I want to use it more from now on. Baby A.’s first big outing was when we was 24 days old and we had to go all the way to Shanghai to renew my passport and apply for his. We had to take the train and then the subway to the Spanish consulate. Taking the subway with the pram is a bit annoying because whoever designed the stations did definitely not take prams/strollers/wheelchairs into account. For example, in some stations the elevator is on the leftmost side of the platform and in others (in the same line) it’s on the rightmost side. That means you have to walk all the length of the platform as you enter from the left and have to exit from the right! And subway trains in Shanghai are loooooong, same as stations! Out and about with the pram. At the end of September my parents came to visit and stayed for two weeks. During their second week, my brother and his girlfriend also came and stayed for 6 days. We couldn’t do much sightseeing with the baby so we just went for walks in the neighbourhood and ate at many different restaurants. Baby A.’s favourite pastime was wanting to nurse at the exact same moment I was going to start eating! Now it is a bit better and I can eat more or less in peace most of the days. 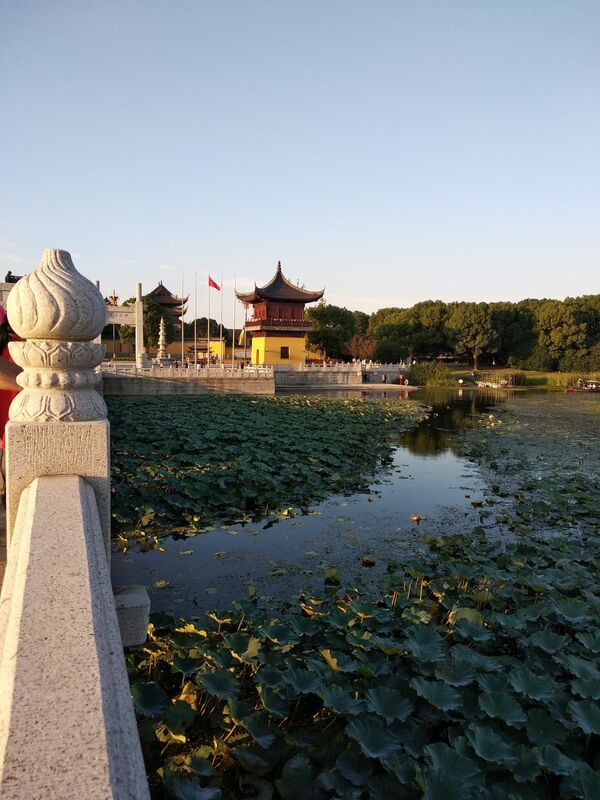 We did visit a few places, like a new Buddhist temple on the outskirts of Suzhou. My MIL has been staying here when C. is working so I am not alone. This has been extremely helpful as the baby often wakes up the moment I put him in his crib, so if my MIL wasn’t here I have no idea what I would eat (I would probably have to order delivery every day) and the apartment would be a mess. Also, I have no idea how I would deal with Nico, our dog. She has been in and out of the pet hospital these weeks and is now officially disabled as she cannot get up on her own and can barely walk. Her hip joints are all worn down and she is always in pain. She is now also extremely picky with food and only eats “people food”, when until two months ago she would wolf down her usual pet food. Oh, and she doesn’t give a crap about the baby. I think she hates us now. Nico being examined in the pet hospital. We had two photo sessions, the newborn one when Baby A. was two weeks old and another when my family came. For the newborn one, the photographers came home and brought many props and clothes for the baby to wear. For the family session, the studio dressed us all in fancy “pre-liberation tv drama” clothes except my brother, whom they didn’t have the appropriate size so he looked more like James Bond. 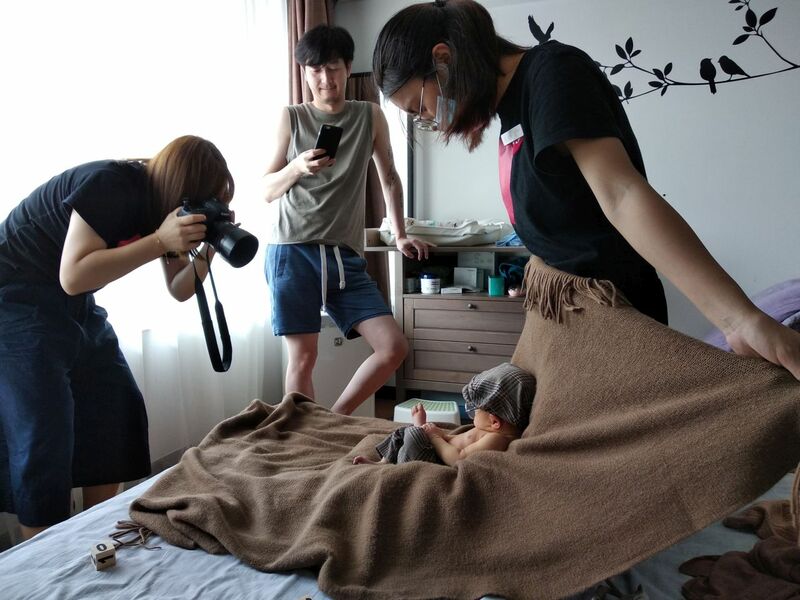 The “making of” of the newborn photo session. Preparing for the family photo session. I loved my hairdo! We went to the hospital for the 42 days check-up both for me and the baby. At that time, the baby was 4.6 kg (31st percentile) and 58.4 cm (87th). I hope he stops growing this fast because he’s not going to fit in the pram soon and he still cannot sit up!! Of course the doctor said that he was quite skinny, even though he’s perfectly healthy. 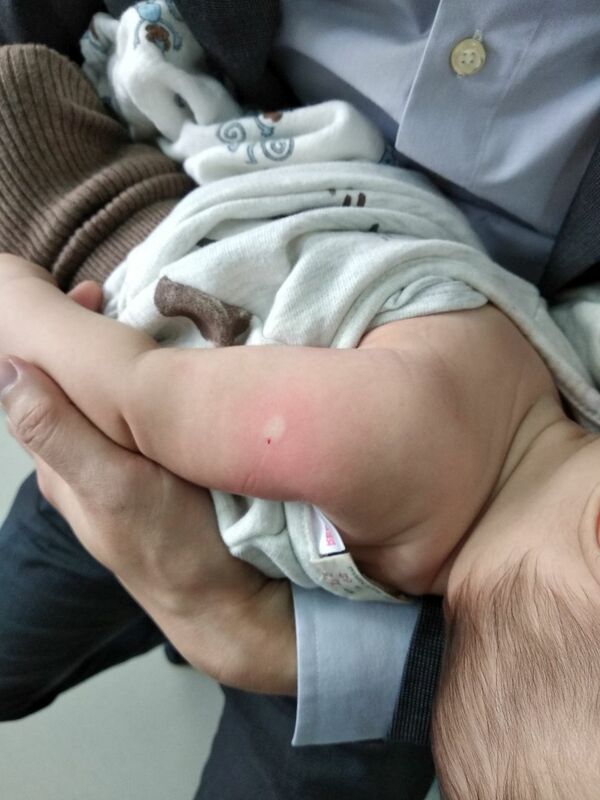 But Chinese people love fat babies (this morning in the vaccination clinic I saw some huge ones). I nurse on demand and the baby is always happy, cries very little and pees and poos a suitable amount, so I am not worried on that front. I’m more worried about my mummy tummy and the fact that I haven’t lost any weight postpartum!! Not as worried as to do something serious about it, though. It took me 9 months to grow a huge belly (and bake a perfect baby) so maybe it will take me 9 months to get back to my pre-pregnancy weight. Let’s see! But I’m definitely not losing sleep over it. Baby sounds like a pretty good baby. I am jealous of all the help you have, but very sorry to hear about Nico. Geriatric pets are very tough, especially with a baby. How on earth do you manage the big dog who can’t walk? We bought a kind of harness for the hind legs, we pull her up and then help her walk… but she is in pain so only walks a little bit to pee and poo and then back home… If she gets worse I have no idea. Maybe get one of those wheels for handicapped dogs? Maybe. It’s so sad she’s in pain. That must be tough, especially with a newborn. The first two months are all about survival mode, so it looks like you’re doing great! It can seem daunting to go out with a newborn, but they typically just eat and sleep, so it’s much easier now than when they get older. My mom brought me food for many weeks after I gave birth, so that was very helpful. I think I only started losing weight when I started to get too lazy to cook and would skip dinner sometimes. It will happen eventually, there’s no rush! I feel so bad for Nico. Dogs typically love babies and are very protective, but being in pain is not fun at all and he probably is not used to sharing his parents with a baby. I’ve been lucky, if my MIL wasn’t helping I would be a total mess! The baby is also pretty easy. For the moment I’m quite hungry so it doesn’t look like I will skip dinner any time soon, haha! I really enjoy seeing how you and your baby are getting along. I remember those early months with my babies with a lot of pleasure–although the first week or two was always hard. I did a lot of reading while I was nursing. I remember reading a couple of books by Han Suyin. I’m sorry about Nico. That must be hard. I didn’t know Han Suyin, I just checked her Wikipedia profile. What an interesting life! I will add her to my extremely long to-read list, haha. My baby is nursing faster these days so less time for reading! Nice to hear about your baby and how you’ve been doing, Marta. It sounds like you’re doing great (don’t worry about the weight, ha). I’m sorry to hear that about Nico. Having a beloved pet grow old and sick is sad. Oh no, that’s very sad news. At least you know in advance and can prepare for his final weeks. We should try to find out who was the “brilliant mind” designing these subway stations and go “thank” him/her in person xD In Suzhou they are mostly fine though, there is an elevator from the street to the entrance floor, and then another (which is usually in the middle in all stations) from the entrance floor to the platform. I guess it’s because Suzhou’s subway is pretty new. I’ve heard so many horror stories about living with MIL that I was scared about how mine would act after the baby was born. But she has been literally a godsend. 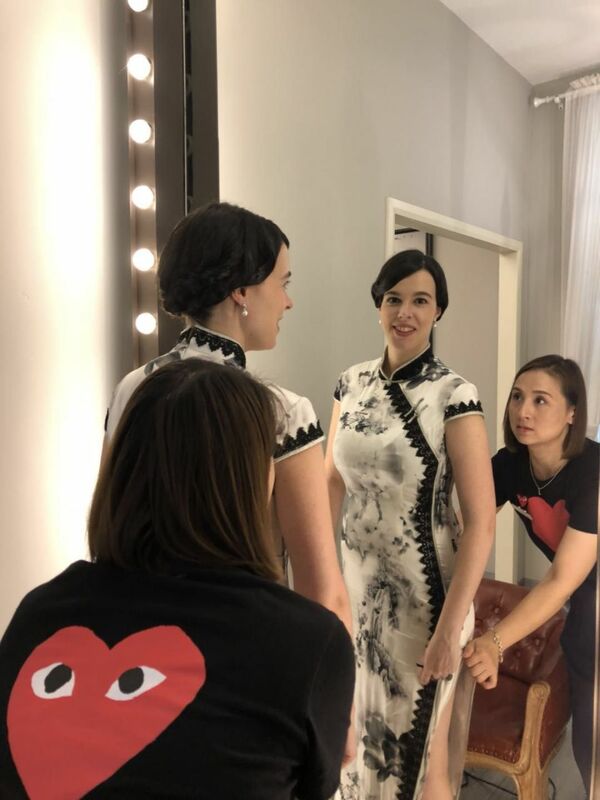 The worst thing she’s done is buying Chinese style clothes for the baby (but no open pants, I warned her about that beforehand, haha). Beautiful post; I have been wondering how you are going so was really happy to read how things are. 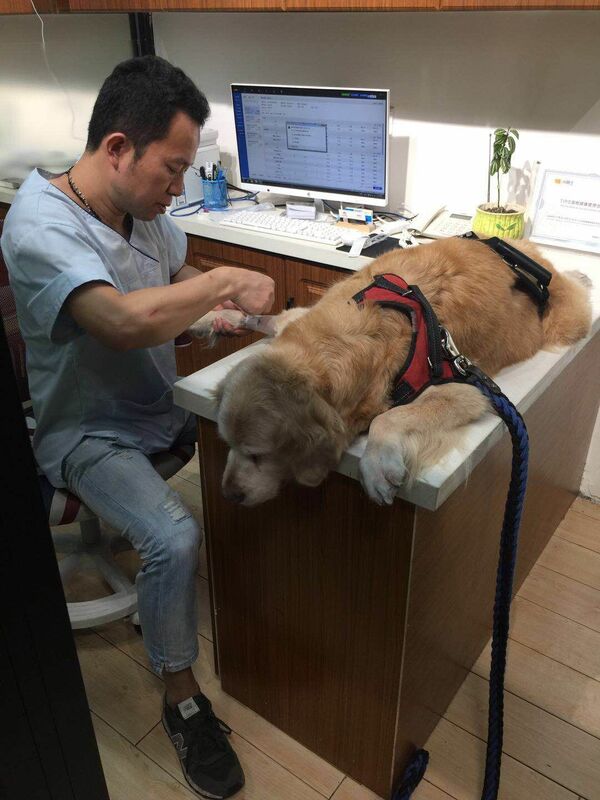 Sad about Nico of course – dear Golden Retrievers get such bad hip joints (mine did too). But most importantly lovely to hear you are going well with little baby C. best wishes. I’m so so sorry to hear about Nico. I’m sure she doesn’t hate you. Sending lots of light. Baby A’s keeping his Mama on his toes! I like it! correction: Baby A’s keeping his Mama on HER toes! Sounds like your baby and your whole family are doing well! 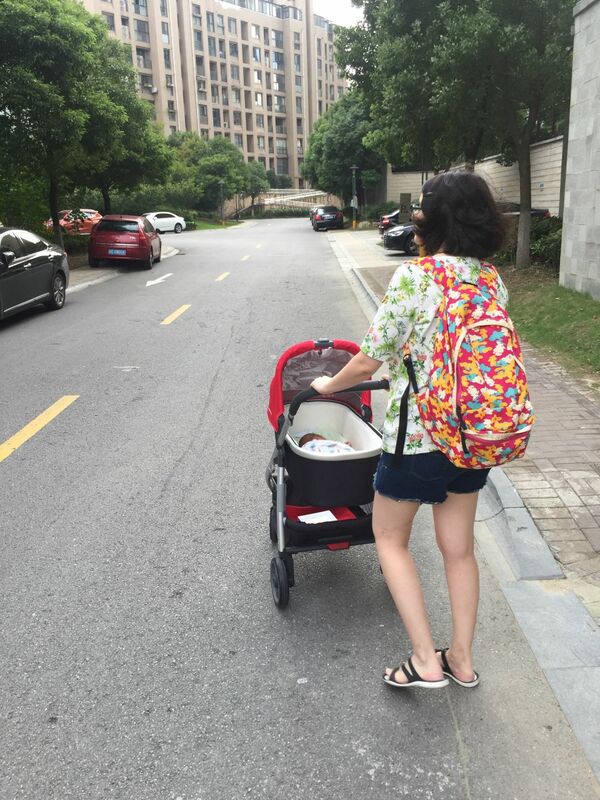 I’m impressed you traveled with your baby using pubic transit–many new moms in the US can barely manage to get in a car and drive with a baby! Hey Marta, I’ve been meaning to send you my warmest congrats on becoming a new mom, and managing everything so well! Also my deepest condolences on the loss of Nico.